SKU: KMT. Category: EXCAVATORS / SKID LOADERS / ATTACHMENTS. 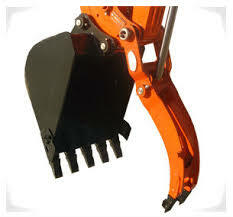 For use with Kubota KX121-3 Mini excavator only! It grips against the scoop bucket like a human thumb to pick up objects.